"Recharges at a gesture. Illuminates at a press." Stands by you at night as it projects illumination that provides warm glow. It has a wireless phone charger and a single tap light which will save you from the struggle of finding cable cords. Double up your “Rhombo” to serve your guests’ coffee eloquently. 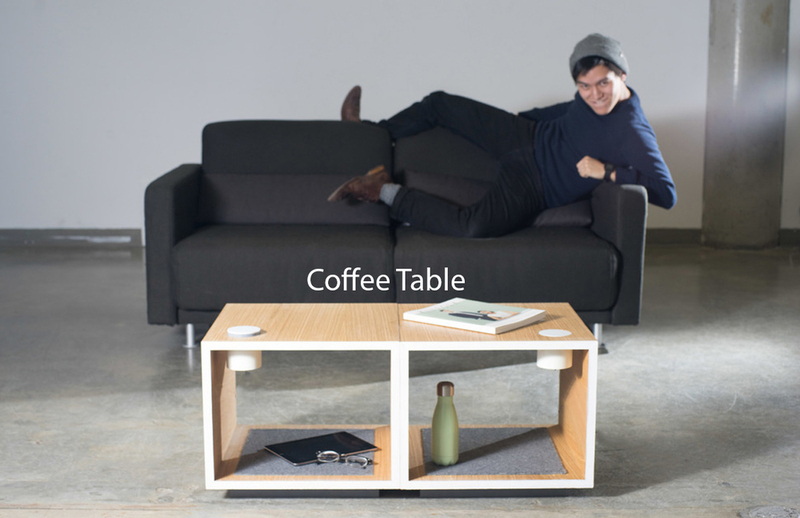 The table mainly functions as a night stand, however, you can hype it up as a fancy coffee table when they are combined.